For Texas farmers, the trade war plays havoc with their bottom line. Tens of billions of dollars of goods are traded between China and Texas each year. Texas imported over $42 billion in goods from the country in 2017, second only to Mexico. It exported about $16 billion in goods to China, placing it behind only Mexico and Canada. Cotton is the state's 10th largest export. Nearly half of the U.S. cotton exported to China comes from Texas. Soy is a smaller market for Texas, but China is the state's largest international soy customer. Texas exports about $157 million worth of corn a year, making it the 13th largest exporter of the crop in the country, though U.S. corn exports to China have dropped precipitously over the past few years due to increased regulations on the Chinese side. Wesley Spurlock, a corn farmer in Stratford and chairman of the National Corn Growers Association, said the weeks of talk of a trade war have already hurt Texas farmers. The prices of corn and soy have both decreased by around 15 percent since mid-May. 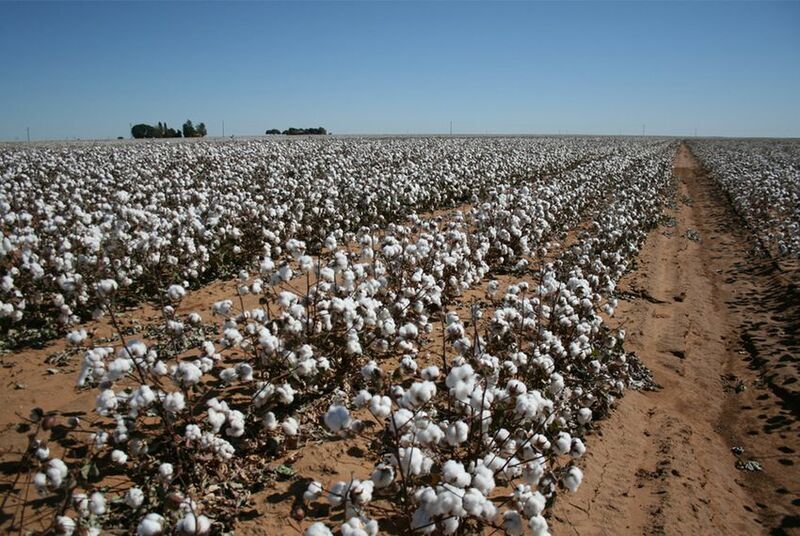 The price of cotton has decreased by over 11 percent since mid-June. Spurlock credits those declines with the threat of tariffs, a situation that could be exacerbated with their enactment. "You couldn't pick a worse time for agriculture to be in a trade dispute," said Hall, the Texas Farm Bureau spokesperson, pointing to a 50 percent decline in agricultural income since 2013. He said the farm bureau always supports negotiating trade disputes over gratuitous tariffs — but that many farmers hope the president's actions will force China, which has historically acted in ways that have harmed Texas agriculture, to the negotiating table. Correction: A previous version of this story misstated Texas' export value to China.